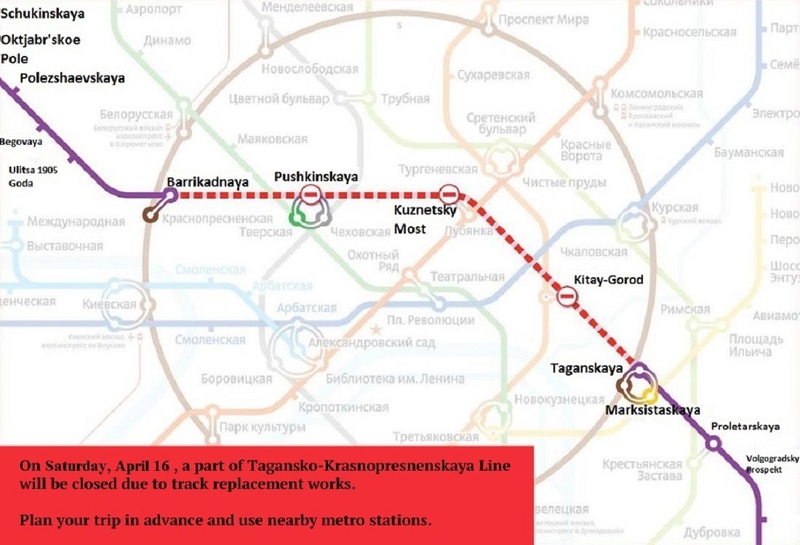 Because of the major ways overhaul, three stations of Arbatsko-Pokrovskaya (dark blue) line will be closed on November 22. 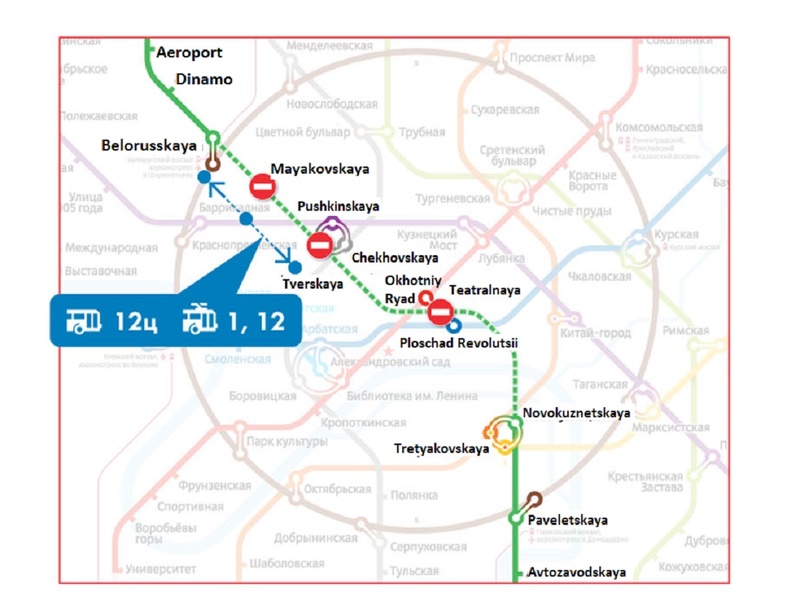 Passengers will not be able to use metro stations Ploschad Revolutsii, Arbatskaya and Smolenskaya. 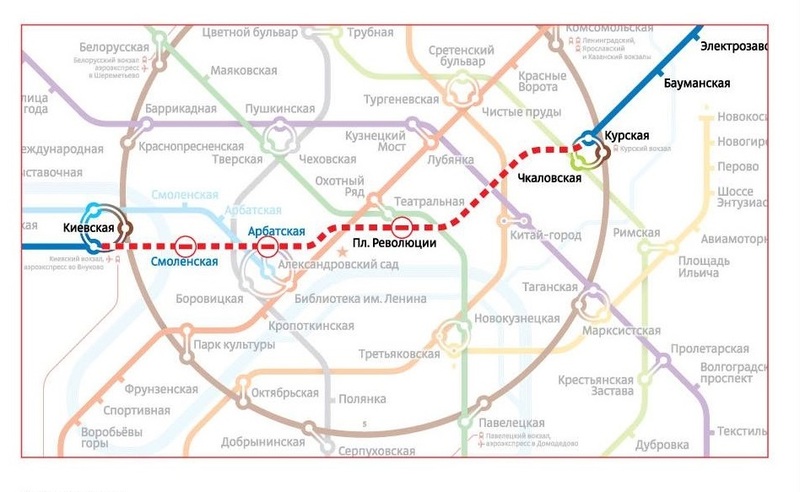 On this day, trains will run from Schelkovskaya to Kurskaya and from Kievskaya to Pyatnitskoe Shosse metro stations. 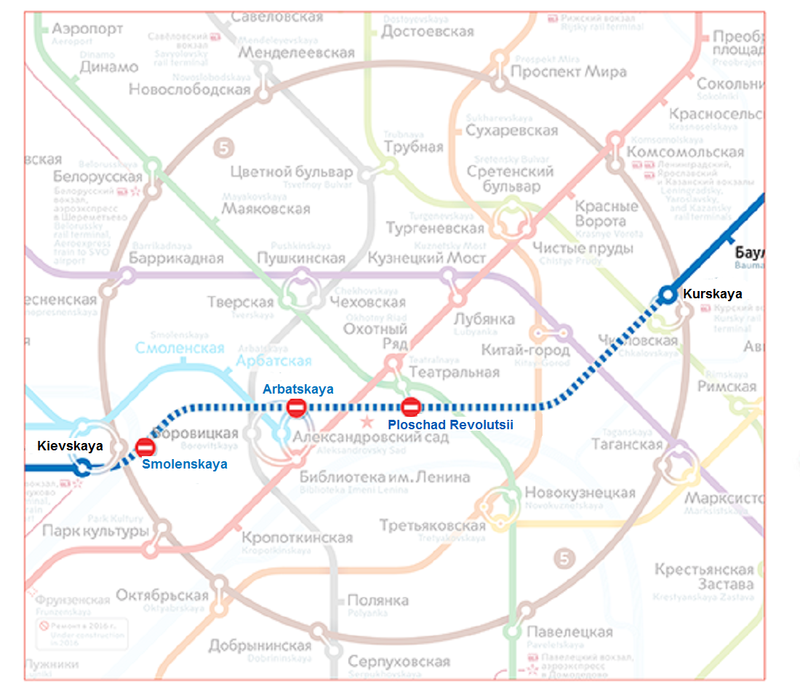 Closed stations will resume passenger service on Sunday, November 23, with the opening of the subway at 05:30.